Non-sized cylinders for interior doors to 4’0” and exterior doors to 3’0”. Non-handed for either right or left swinging door. 4630 has easily accessible switches to provide on/off and continuous hold open functions. 4630CS provides concealed on/off power switch. Control module provides all timing and sequential door functions, electric strike controls and adjustments for opening speed and force. Standard or optional custom powder coated finish, end caps are black. Optional plated finish on cover, arm, and fasteners. 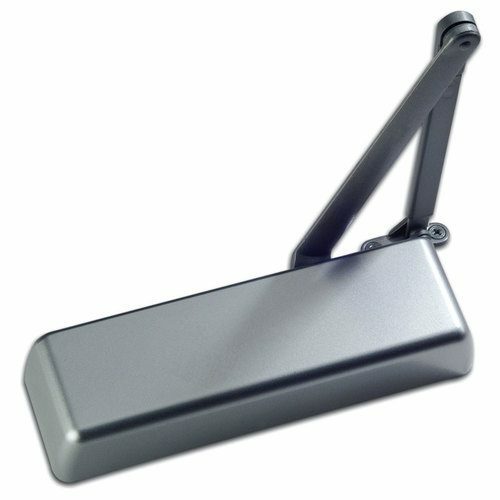 4630 Series is UL and cUL listed withstandard arm for self-closing doors and meets the provisions of ANSI Standards A117.1, A156.19, and the Americans with Disabilities Act. The 4630 Auto Equalizer™ is LCN’s smart & reliable electrically powered low-energy power operator. It provides easy access for people with disabilities, the elderly, or the frail. Designed primarily for manual opening applications that occasionally required automatic opening.